A few short weeks ago I won a raffle. It was the first time in my life that I’d won something. 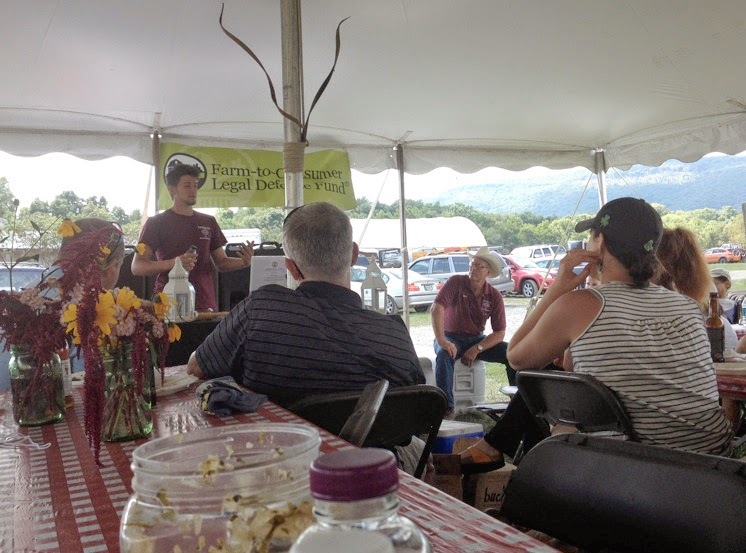 The raffle was for a trip to Staunton, Virginia for the Farm to Table Legal Defense Fund‘s annual Food Freedom Fest. 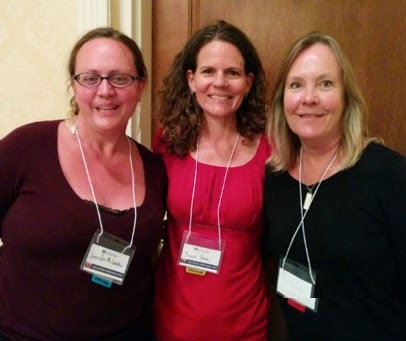 Included in the activities were dinner with bloggers Jenny McGruther from Nourished Kitchen and Sarah Pope from the Healthy Home Economist, a full day of speakers explaining the Defense Fund’s cases and a full day’s tour of Joel Salatin’s Polyface Farms. Thursday night’s dinner at Zonodoa with Sarah and Jenny was a real treat. It was so thrilling to meet two very well-known and successful bloggers that spoke my language! We talked a little about real food and enjoyed a delicious and healthy meal in an elegant but comfortable setting. We parted company early—tomorrow was going to be a big day of speakers, discussions and updates regarding the defense of farmers’ basic right to farm. Prior to that weekend, I’d been only slightly familiar with governments’ (Federal, State and local) heavy-handedness with farmers’ rights. I’d heard about how some large corporations were using their money and clout to get their own way to protect their financial interests. I’d also heard about armed raids on dairy farms for selling raw (unpasturized) milk and FDA’s position that we have no rights to choose what we consume unless they GIVE US PERMISSION: “Plaintiffs’ assertion of a ‘fundamental right to their own bodily and physical health, which includes what foods they do and do not choose to consume for themselves and their families’ is similarly unavailing because plaintiffs do not have a fundamental right to obtain any food they wish.” Oh, just tell me I don’t have the right to make my own decisions about my body and my health, and you will light a fire under me that will be seen from outerspace! The information conveyed that Friday by a wide variety of speakers, lawyers, senators, representatives and farmer/victims, was a real eye-opener for me. They spoke of raids on food clubs where ALL the beautiful, organic, locally grown food was confiscated and dumped in landfills because some raw milk was found on the property. Farm animals being confiscated and destroyed without testing for a disease they “may have” had (they didn’t), then additional litigation on conspiracy charges when that didn’t hold up in court. Businesses being closed due to never ending bureaucratic red tape based more on principle than law. The USDA’s recent solicitation to carry sub machine guns (what?) for their raids on farms. All of the cases and stories were presented in a matter-of-fact manner, with stats to show the progress that the Legal Defense Fund has made since its inception on July 4, 2007. The stories flat out flabbergasted me, but the sincerity and positive attitudes of all of the speakers were very encouraging. 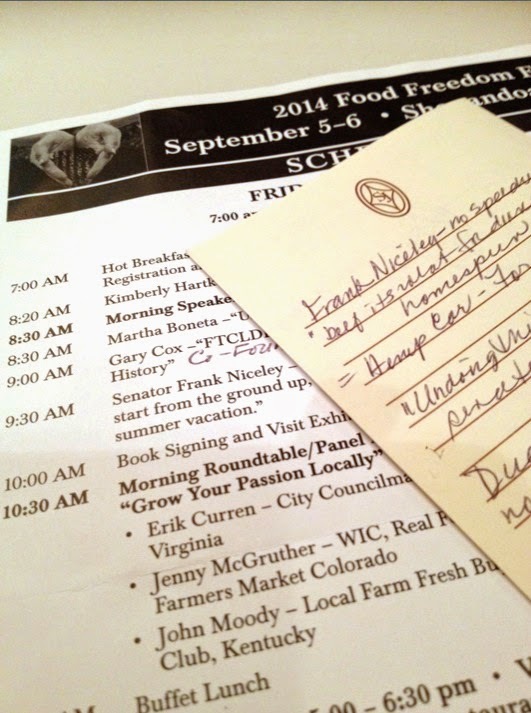 I ended up Saturday’s lectures with an even greater appreciation and respect for the real farmers in this country, who just want to provide us with healthy, unadulterated, real food and not be forced to cave in to the depraved ideas being accepted by the general public (with our government’s blessings) as the acceptable production of food. I left the lectures feeling informed and wanting to become involved in some way to further the cause that Legal Defense Fund represents. 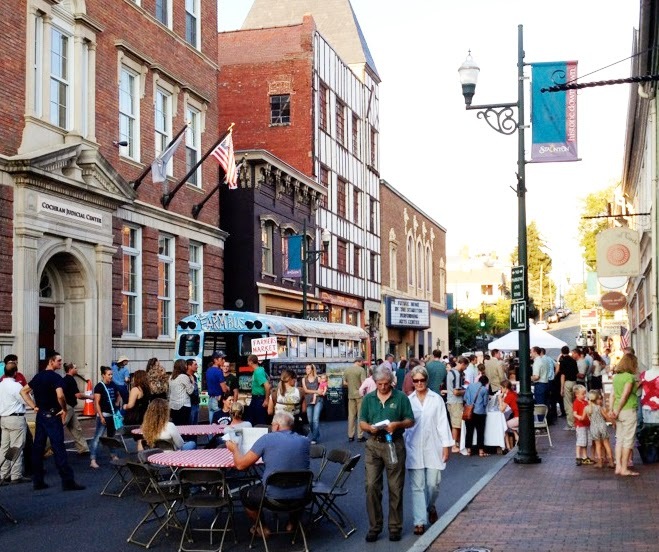 There was a block party and BBQ Saturday night in downtown Staunton. I was tired and it was kind of loud (a sure sign of being over-tired for me) so I stayed for a while and then trekked back to my room at the hotel. 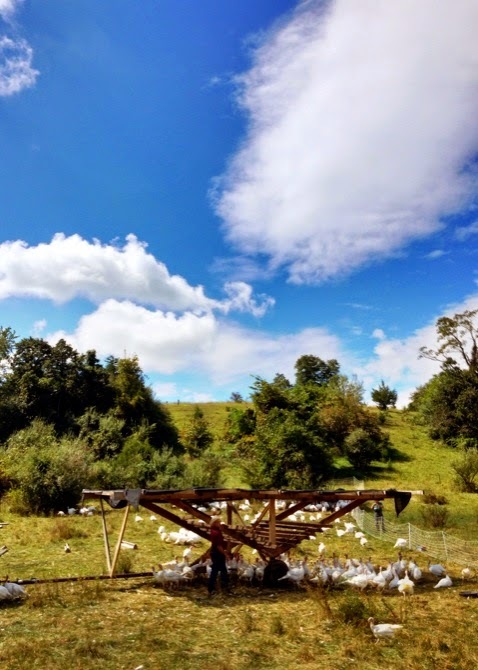 My tomorrow (Saturday) was to be spent at Joe Salatin’s Polyface Farms. While my Maps printout said Polyface was only 20 minutes away from my hotel and the directions seemed straightforward enough, I have to admit I was not sure I was going where…and when…I was supposed to. But luckily my phone was still getting some bars and even though I was the only person on the back country roads at the time, I put my faith in my phone and found my way to the farm. During the last 5 minutes of my trip I ended up with a few cars following my every turn. Later I found out that many people had become totally lost and arrived at the farm as much as an hour late. Polyface is, to me, a picture-perfect farm. Virginia is so beautifully green and lush and this farm is a perfect example. There’s the house, small store, an outdoor covered area for meeting and eating, a few hoop houses, some gardens and then those gorgeous acres and acres of grassy hills. We had a Polyface breakfast and then were loaded onto two hay bailed trailers. We spent the better part of the hot, sunny day visiting various areasof Polyface.The smaller, cleverly designed chicken tractors are reserved for the broiler chickens. 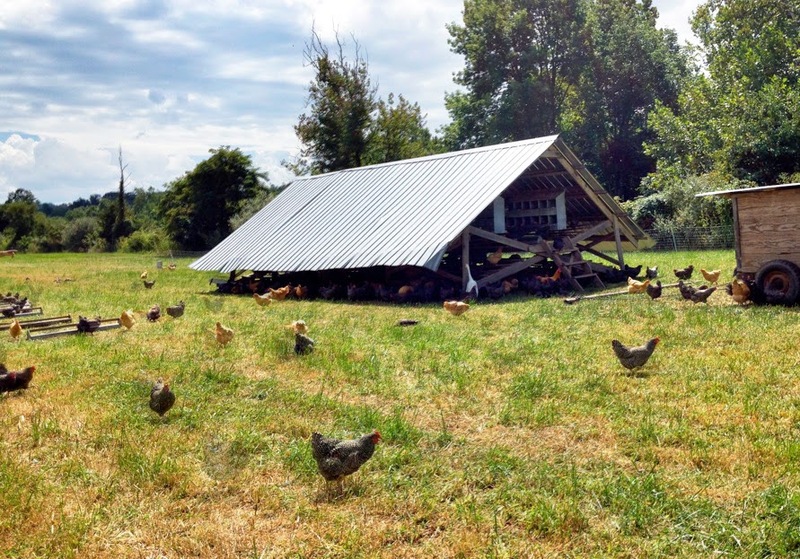 Moved daily, the chickens have access to meal food and water and also some sun, shade and pasture for foraging. Ducks, turkeys and laying hens also have portable grazing areas with easily moved electric fencing. The fences are to keep predators out. Pigs have the same fencing, but their free range areas include trees that provide them with shade and acorns and lots of places to root around. 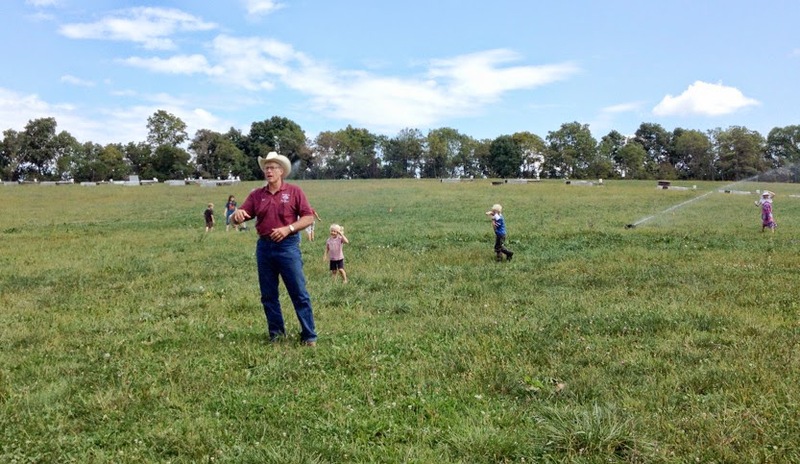 Cattle are moved from pasture to pasture daily, so they don’t overgraze the land. Snow melt-off that would have only flooded the land and been wasted is collected in ponds, to be used during the summer to water thirsty land. 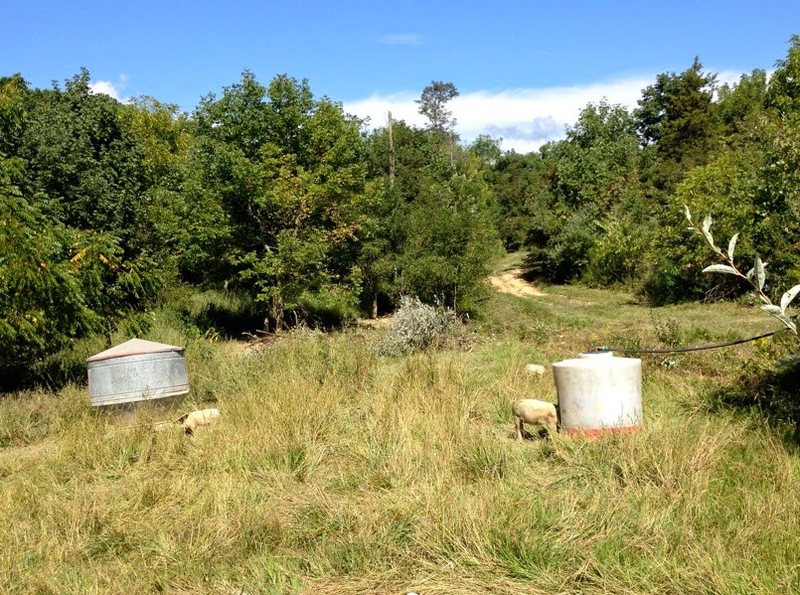 Winter accommodations for the cattle provide later forage for pigs, which in turn provides manure to fertilize the land grazed during the summer. After our enjoyable tour of the farm, we were treated to a Polyface lunch. At the end of our lunch, a few more speakers came up to talk about food and farming. Joe Salatin brought a few of his substitutes for hired help: young farmers-to-be that spend time at his farm as interns and apprentices, learning his methods and bringing his wisdom back to their home states to carry on hisnatural farming techniques.Seeds of change for a better future. The young speakers were all very enthusiastic and passionate about being a part of change in this country. I left Polyface Farms that day full of hope that the small farms in this country, and informed and involved consumers, will turn the direction of our food producing practices away from destruction of the land, nutrition, and mistreatment of animals, to cooperation and harmony with nature. Wow, what a beautiful alternative. 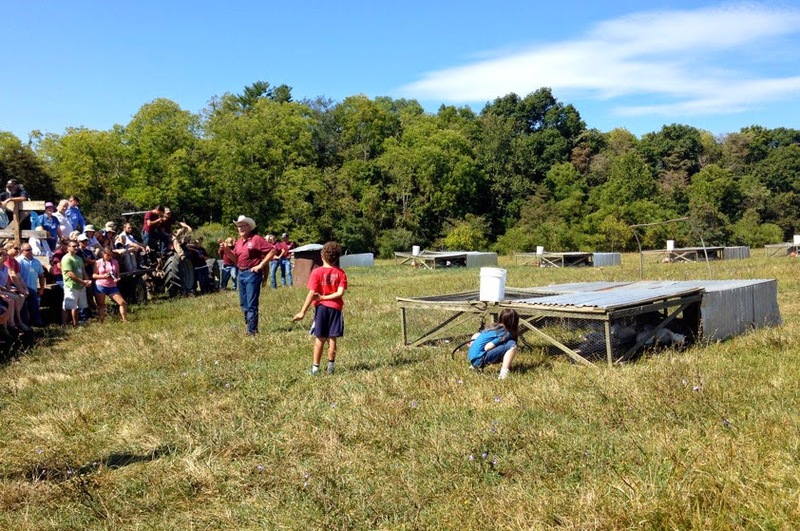 This entry was posted in farmer's rights, free range chickens, Joe Salatin, natural farming, Polyface Farms, raids on farms, raw milk, right to farm on September 21, 2014 by Farmer Deb.